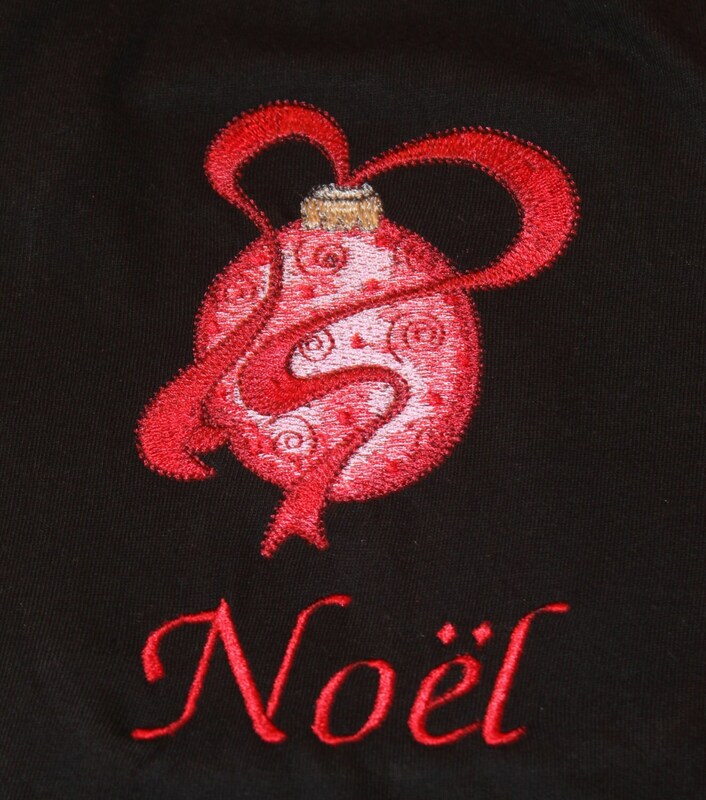 Noel Embroidered Christmas Bulb Shirt. Size 4T Black Shirt with Red Lettering and Bulb. Black Embroidered long sleeve Shirt with slight gather at neck and sleeve, size 4T. 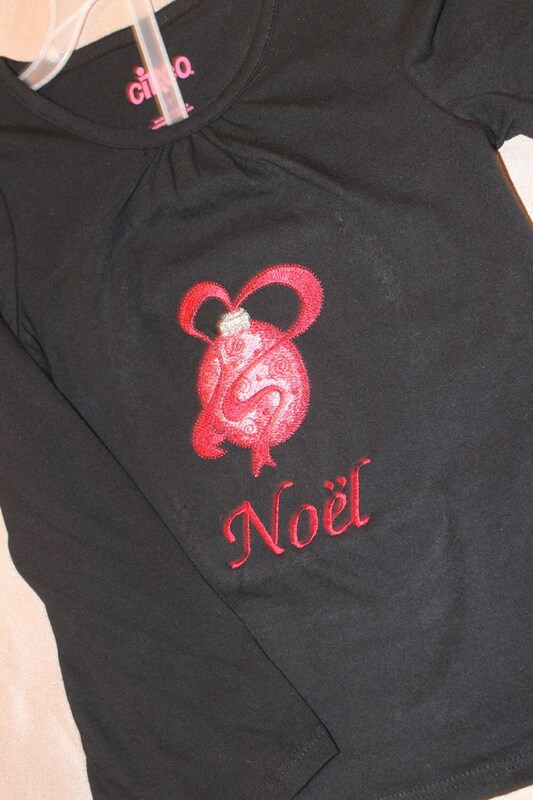 This shirt is Embroidered with a Christmas Bulb and the Word "Noel" under it.